With a new city building nearly completed, residents of the town at the head of Prince William Sound's Passage Canal are looking forward to other improvements. WHITTIER — No one has a better view of Whittier than June Miller. 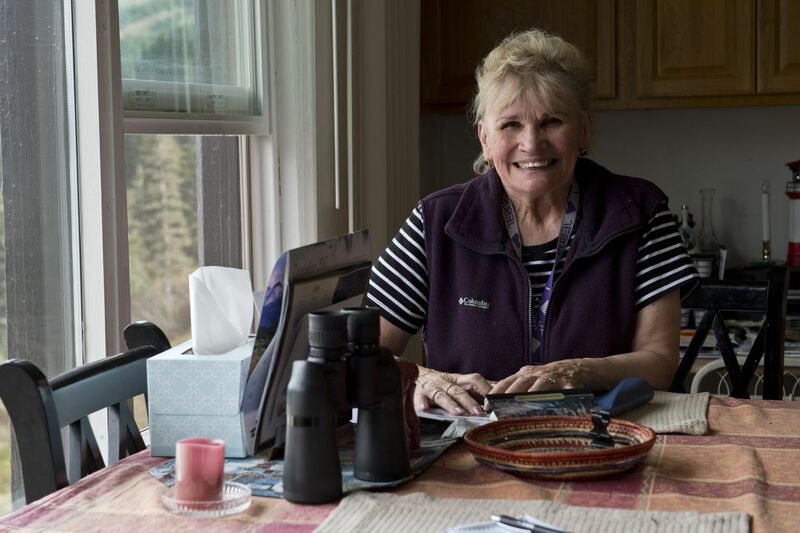 From her condo on the top floor of Begich Towers, she's been able to see the whole city for decades. Change happens gradually, but increasingly here, she said. "I think it's speeding up," she said. Fourteen stories below, Miller sees a city built on the determination of its small population, internally-driven folks willing to make an effort to be here. And from her kitchen table, she pointed to the improvements: Parks, roads that are now paved, buildings that are well constructed – all small, quality-of-life improvements that make her smile. "I believe we'll have a lot more in store." Miller isn't alone in her optimism. City employees are just weeks away from moving to a headquarters that took several years to plan and a year and a half to build. It's a grand and solid structure, already a point of pride in a town where large construction projects have been few in recent decades. "It's nice to have something shiny and new to be proud of," said Scott Korbe, Whittier's director of public works. But the $8 million Public Safety Building is only the most visible example of an uptick in enthusiasm for improvements among Whittier's approximately 220 year-round residents. 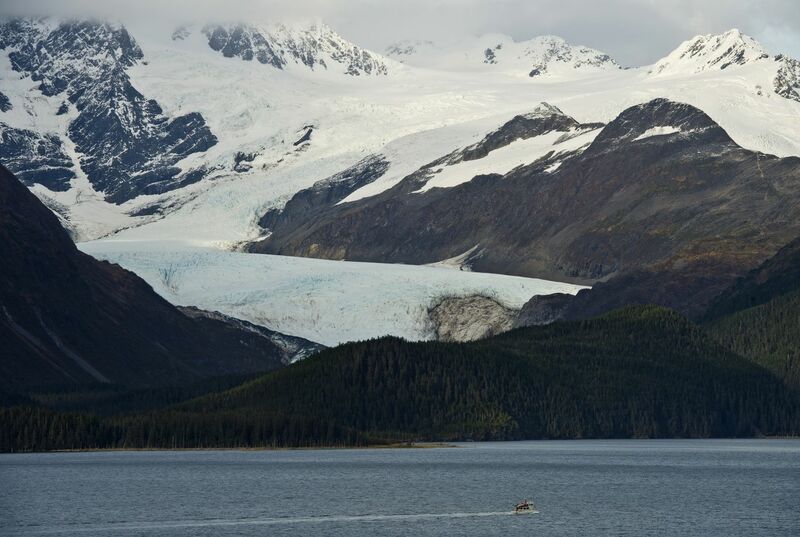 Some long-timers and some newcomers are expressing hope that an exciting chapter has begun in the quirky town on Prince William Sound's western edge. "There's so much opportunity to do good here," said Annie Reeves, Whittier's assistant city manager, who started the job last month. 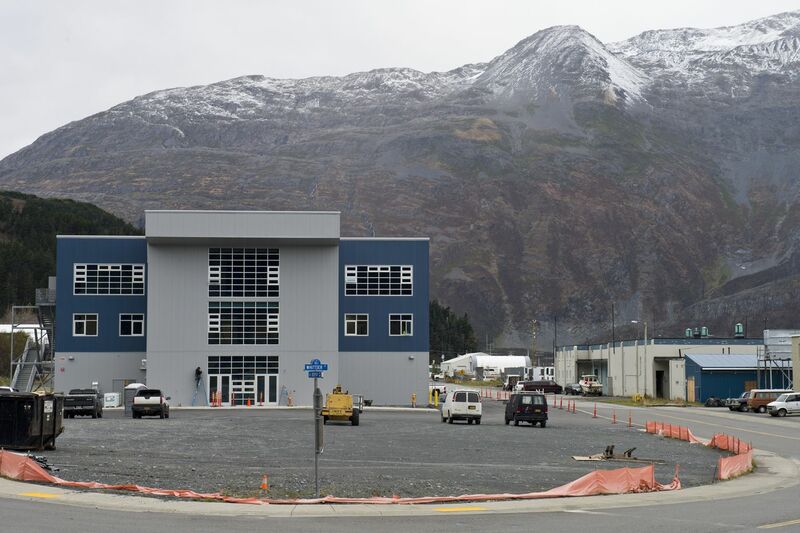 The Public Safety Building is a bold step, but Whittier's broader potential excites her. "Maybe this is me talking about my dreams for my new home, but I think the sense that I get is just that it's a good first step to becoming – to metamorphosing, if you will – into what we will become in the next few years," Reeves said. 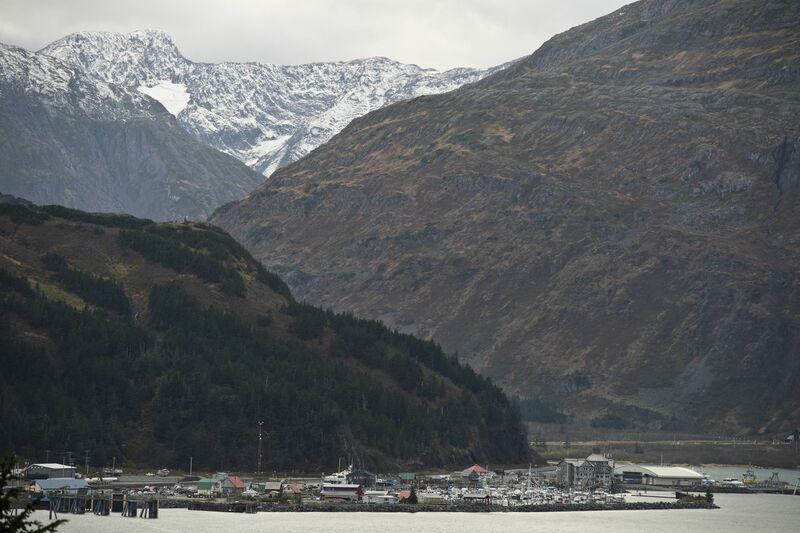 Whittier is certainly different, a combination of beautiful and peculiar that's unusual, even by Alaska standards. 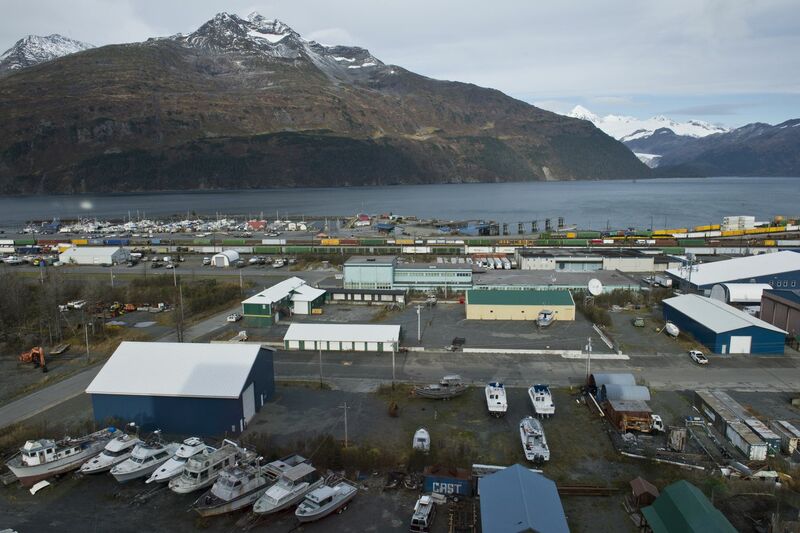 At the center of town, boat storage yards mix with weathered and repurposed military buildings, a pet reindeer pen, and just one year-round restaurant. 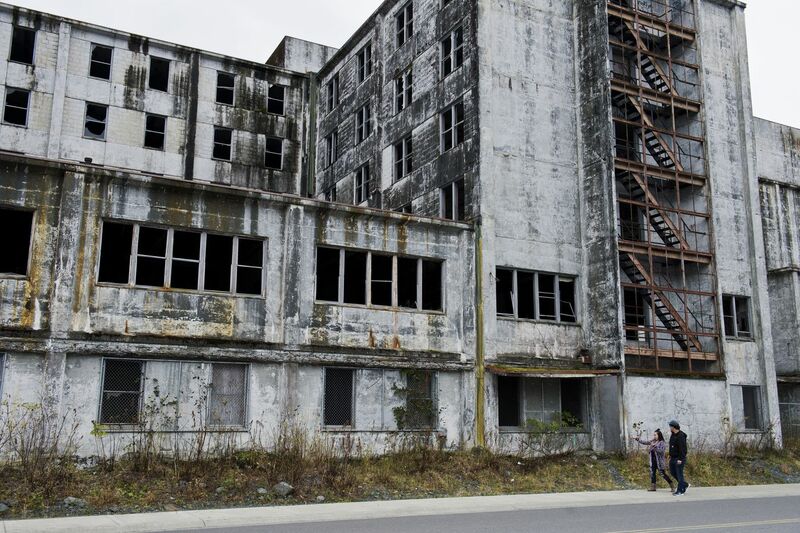 On the east side of town, the bones of the Buckner Building dominate the landscape, a long-abandoned structure that once housed hundreds of U.S. Army troops in the 1950s. Now it's fenced off to keep trespassers out. 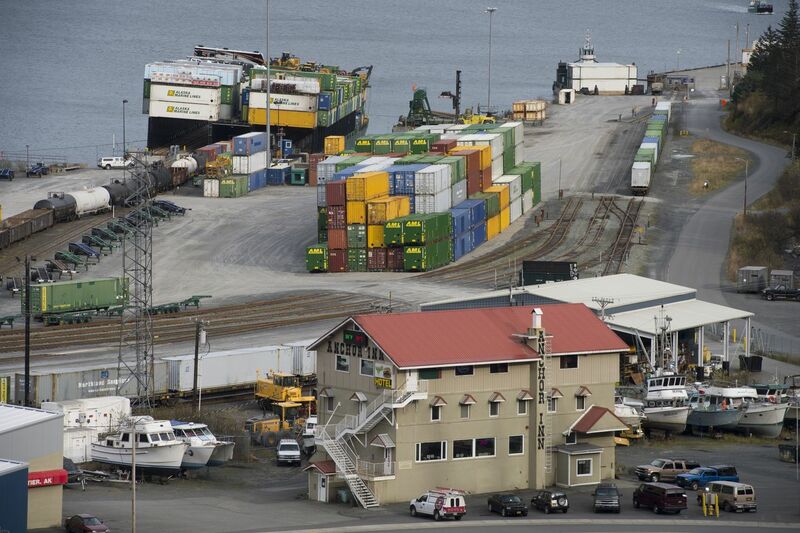 A busy rail yard bisects the town to receive freight from the sea, connecting it to the Alaska Railroad's main line by way of a 2.5-mile tunnel, the longest combined vehicle and railroad tunnel in North America. It's the only road into town. With no neighborhoods in the traditional sense, the vast majority of residents famously live in one building, the 196-condo Begich Towers. In that context, the new 33,000-square-foot city building with the long sloping roof is understandably noteworthy. The structure takes advantage of daylight with its many windows. Police, fire and emergency medical services will be based there, as will nearly all city employees and a medical clinic. 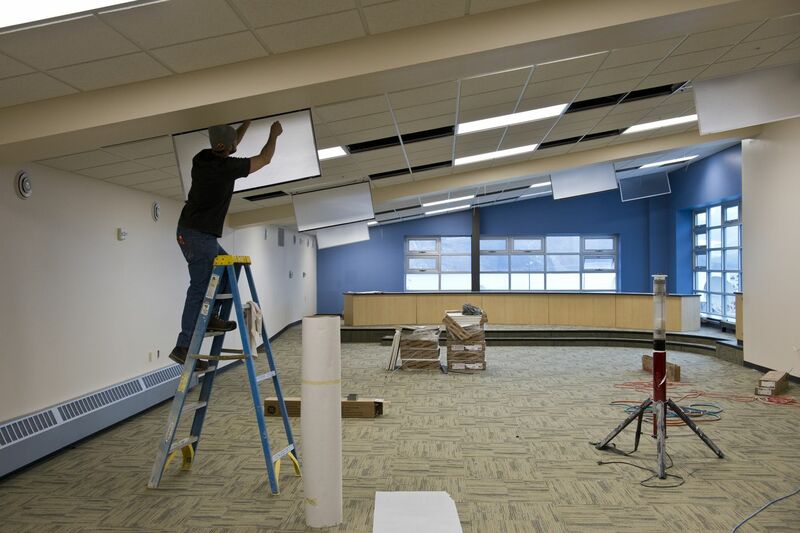 With in-floor radiant heat, LED lighting, better communications equipment and room to grow, it's a far cry from the weathered, military-constructed buildings that Whittier has occupied nearby and the administrative offices in the Begich Towers a few blocks away. And it's beefy. The new structure is built to withstand a snow load of 345 pounds per square foot. In the event of a disaster, Korbe said, the building would be the designated incident command center for the area. While the Public Safety Building is a significant addition, it's not Whittier's only iron in the fire. At the east end of town, the extension of Shotgun Cove Road has begun and will continue in phases as money allows. The goal is to access land that the city already holds along Passage Canal and Shotgun Cove for residential development and, perhaps, other uses. When and how that will happen is an ongoing discussion, officials say. "We're always working at it," said Victor Shen, a Whittier City Council member. "Whenever funding arises, we push it a little farther." 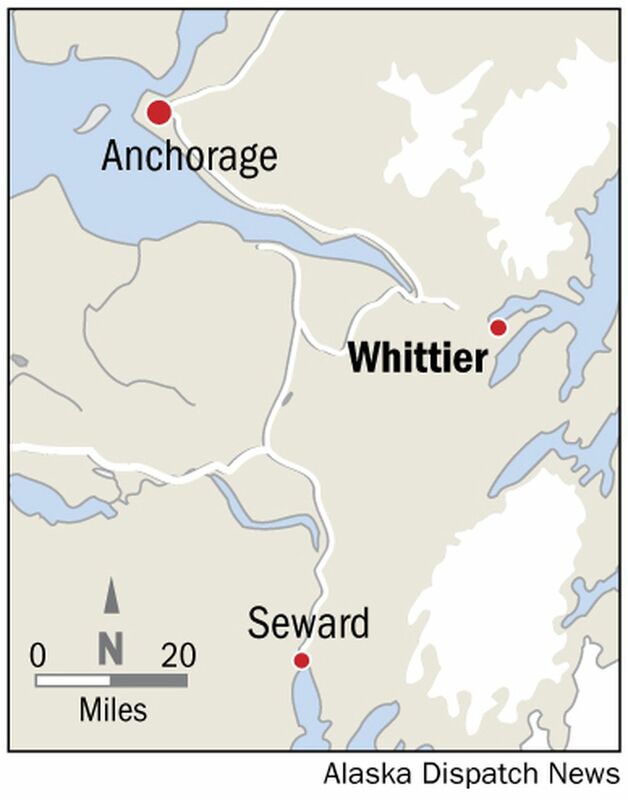 At the head of Passage Canal, Whittier hopes to begin expansion of its boat launch facility from two to eight ramps next year, Reeves said. It also intends to cut the ribbon on a recently relocated monument to Whittier's origins next summer. The monument, which had fallen into disrepair, was moved away from the railyard to a more central, accessible location at the intersection of Glacier Avenue and Whittier Street. It outlines Whittier's history in the context of the Alaska Railroad's construction and expansion. The Whittier terminal first became operational in 1943, it says, carved in stone. Landscaping and beautification will continue next year. "As an administration and as culture and society, more and more it's been like a revitalization that's been going on here," Korbe said. It's not just local government chipping away at Whittier improvements. Dave Dickason, a three-year Whittier resident and City Council member, has been tapping into a volunteer spirit to build parks and trails. Sometimes all it takes is a callout on the "What's What in Whittier" Facebook group and 20 people show up ready to sweat, he said. 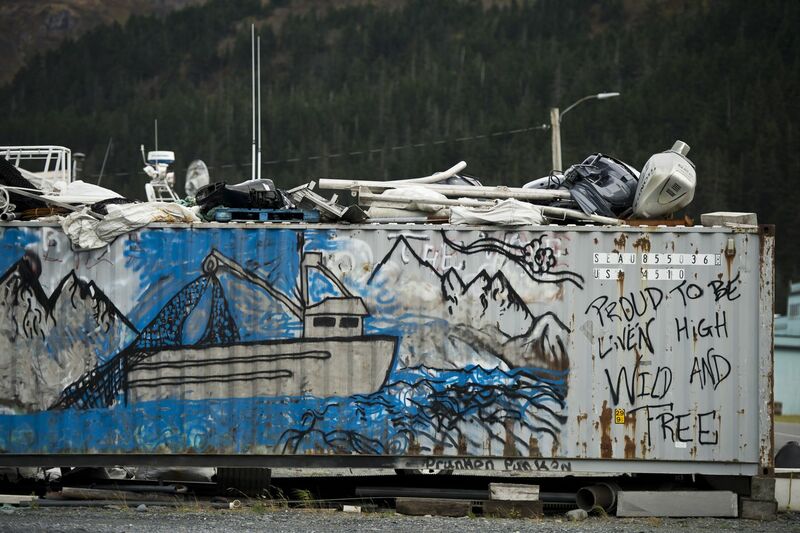 "Everyone sees Whittier from sea level, and what they see are the abandoned fishing boats. And they see the shipping containers," Dickason said. "And don't get me wrong, I still see the hidden charm. I think it's beautiful." This summer, Dickason rallied volunteers and students to cut a trail through the alders along Whittier Creek, an accessible place for a stroll. 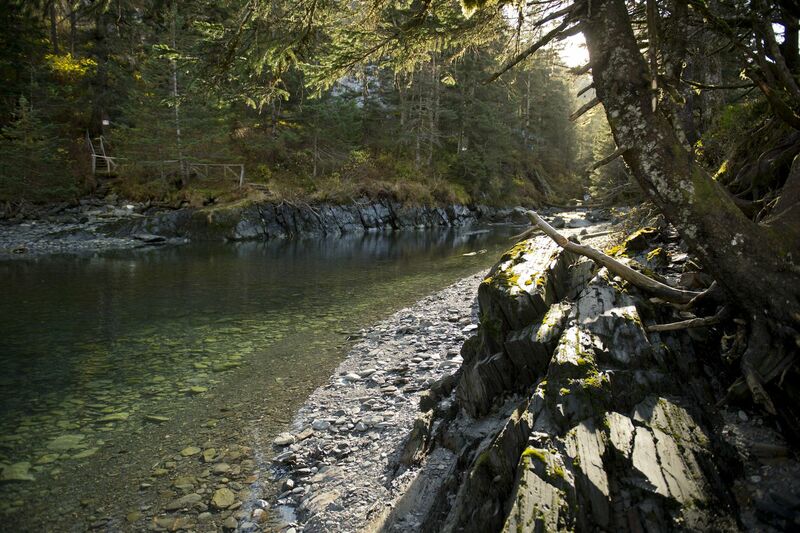 Elsewhere, they added a gentle slope to the water's edge at a place creek where pink salmon spawn. Further east, he helped improve the Emerald Cove Trail, putting a gravel pathway at the base of a striking waterfall in the woods. It had been a muddy mess, he said. "It's almost addicting to see that kind of progress happen in such a short period of time," Dickason said. And closer to home by the Begich Towers, planning is underway to design a city park just up the road. He hopes that will include a covered picnic area, a place where neighbors can gather outside. "We all live in these small condos. It's fun. We'll cram 20 people into those condos to have dinner sometimes, but it's a little too cozy," Dickason said. This is a satisfying time to live in Whittier, Dickason said. Newcomers with good ideas seem to be collaborating with sharp and energetic established residents. Dickason points to Victor Shen, his fellow council member, as an example of the latter. Shen, 34, grew up in Whittier. His parents emigrated from Taiwan in the early 1980s and have owned and operated the Anchor Inn, a bar, restaurant and hotel, since then. "I guess he loved it and he saw potential to carve a little spot in the world for himself," Shen said of his father. Shen, who splits his time between Anchorage and Whittier, said his hometown is much more than the bad rap it gets for harsh weather and tunnel tolls. Shen shares Dickason's passion for developing parks and recreational features. "And Whittier offers that opportunity," Shen said. "It's small enough where you feel like you can contribute and make a difference." Businessman Todd Perez expressed the same sentiment, nearly word for word, when he spoke about his lodging and restaurant plans. He's the general manager of the Inn at Whittier, and is working on buying it. It's the only inn along the waterfront, and he hopes to soon expand from 25 rooms to 40 or more. June Miller, at the top of the Begich Towers, said these changes are putting Whittier "on the map." For more than 20 years, she has operated June's Whittier Condo Suites, nightly, weekly and monthly lodging in several units. 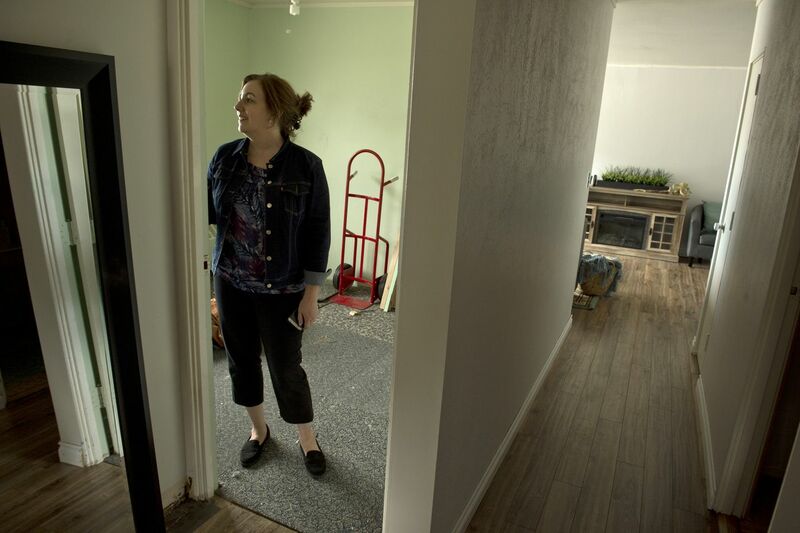 She moved to Whittier with her husband for its serenity after leaving a high-stress career in Anchorage. 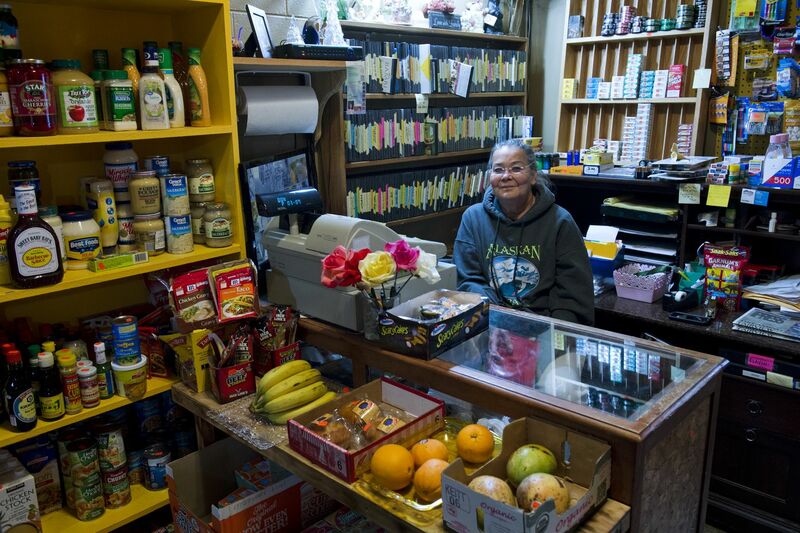 She appreciates the slower pace of life in Whittier, and has good memories of the days when residents had to put their car on a train to get it in and out of town, before the Anton Anderson Memorial Tunnel opened to vehicle traffic in 2000. "When the train was driving us for 13 miles, we got to know who got married, who's going to have a baby. We just had a great party in there," Miller said. But it was expensive, she said, and trips to Anchorage often meant returning home late at night. And if you didn't make it back to the train in time, that meant sleeping in your car until the next morning. Miller remembers covering her car windows and curling up with her dog for the night. "I miss the camaraderie and I miss the joy, but I don't miss those days," Miller said. Brenda Tolman, who came to Whittier from California 35 years ago, said the city is keeping a "steady course." She's not concerned too much will happen too fast. "What you see has taken 35 years to build," she said. "Nothing happens that quick on God's little acre." 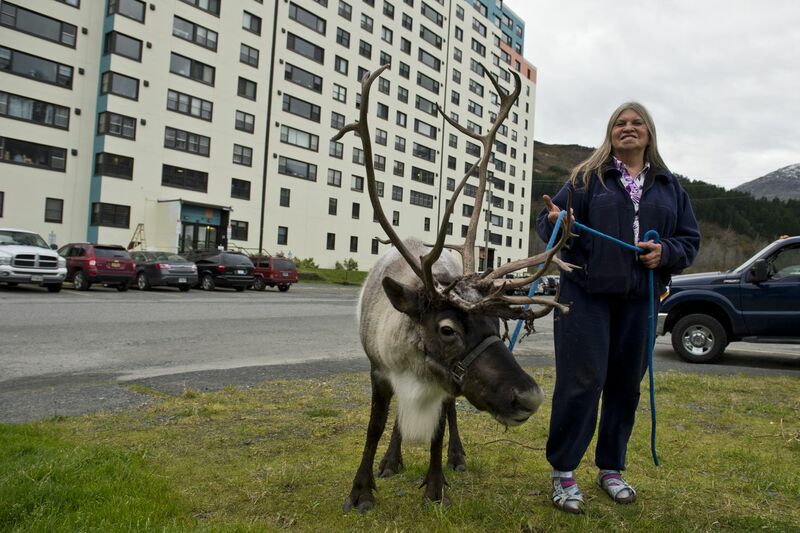 Tolman, who owns Log Cabin Gifts at the harbor, as well as boat storage and parking businesses, keeps two reindeer – Manu and Jasper – in a pen across the street from Begich Towers. She carves artwork and enjoys a life she calls simple in a town she describes as uneventful. 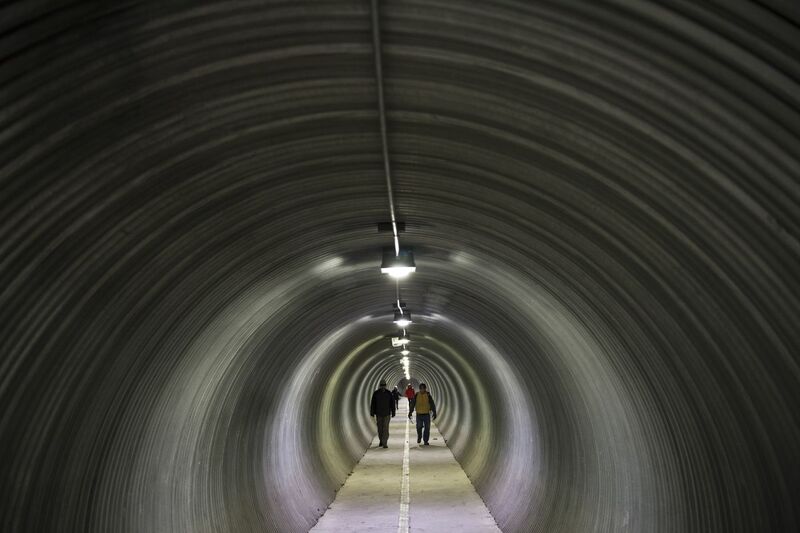 "I've been happy with it since the day I came through that tunnel," she said. "Boy, it was rough, and I looked at it and I thought, man, what a land of opportunity." She compares Whittier to an 8-foot dog sled she owns. Its strength comes from its flexibility, not its rigidity. And Tolman put it another way, with a hearty laugh. "You better be OK with change, or you're going to fall over dead." But change comes at a price. New Assistant City Manager Annie Reeves laughs about facing a longer commute to work. Now, she takes the elevator from the sixth floor of Begich Towers to her office on the first. When the Public Safety Building opens, she'll have to walk a couple of blocks, too. It was just months ago when she and her husband hatched a plan to live there to lower their cost of living and pay off law school debt. But it didn't take long for the city to occupy a bigger place in her heart. "This place is really enchanting. … Right now as I'm talking. I'm looking across the way, and there's waterfalls, and snow-capped peaks, and the water, and sometimes you'll see sea lions," she said. Reeves is remodeling her condo, planning changes from some dated floral wallpaper and installing new floors. 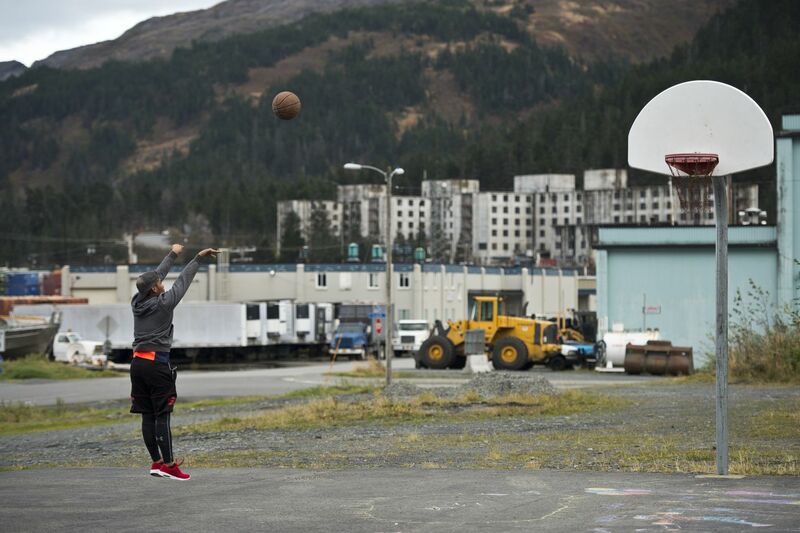 She spends weekends in Anchorage now, but her family will join her in Whittier next year. In the meantime, she's enjoying a social life in a community that welcomed her. As a recent visitor, Reeves wondered why anyone would live in Whittier. Now, she sees it as a place where she can play a part in shaping the future, and a place that's already unique in so many ways. "There is a sense here that people are very proud of their home, even if it's quirky or old or needs to be updated. It doesn't matter," she said. "This is Whittier, and this is our home."